Optimism over the temporary trade truce announced between the two largest economies in the world after the G-20 Summit in Argentina last weekend has played a leading role in uplifting global risk sentiment today. The combination of Dollar weakness and improving risk appetite is a welcome development for most major emerging market currencies. 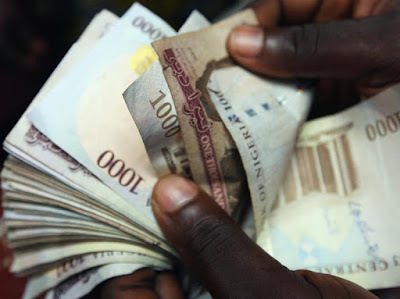 However, the Nigerian Naira has yet again struggled to benefit from such welcome market conditions with prices hovering around 365 on the parallel exchange. It is becoming clear that the Naira’s stability against the Dollar was the product of repeated intervention by the Central Bank of Nigeria. With falling oil prices weighing on the Naira’s peg against the Dollar on the official exchange and complicating the CBN’s effort to defend the Naira on the parallel, further weakness seems to be on the cards. While fading trade tensions and Dollar weakness is seen limiting capital outflows, falling oil prices are poised to negatively impact government revenues and the implementation of the 2019 budget. While the short-term outlook for the Nigerian economy may look discouraging, confidence in the nation will most likely receive a boost in the medium to longer term if increased government spending ahead of the elections next year stimulates economic growth. Away from Nigeria, all of the currencies in the APAC region are trending higher against the Dollar, with the exception of the Indian Rupee that has declined 1.03% at time of writing as a result of local data missing expectations. The South Korean Won, which is often measured as the Asian currency proxy for investor appetite towards risk is higher by more than 0.91% while the Chinese Yuan is stronger by as much as 1.09%. This rally has filtered through to other regional emerging markets and asset classes, including the South African Rand and Mexican Peso that are both more than 1% stronger on trade truce optimism. The rally that we are experiencing goes to show that in spite of the trade tensions between United States and China being seen as bilateral issues between themselves, being two major global economic powers means this does have huge ramifications for global market optimism. WTI Oil is higher by over 5% in the early hours of Monday trading, which goes a long way towards explaining how global market optimism and previous concerns about trade tensions can impact commodity markets. In recent weeks Oil has suffered severely from global economic health concerns stemming from trade tensions leading to lower demand for Oil, and if there is further progression with this issue it would be seen as a potential “buy” for the Oil markets. If there is further progression over trade tensions between the United States and China then this has the potential to create a heavy market rally before trading wraps up for 2018. The main question that investors now need answers for is how long can this trade truce rally really last, and is it also possible for further progress in trade talks between the United States and China from this trade truce?